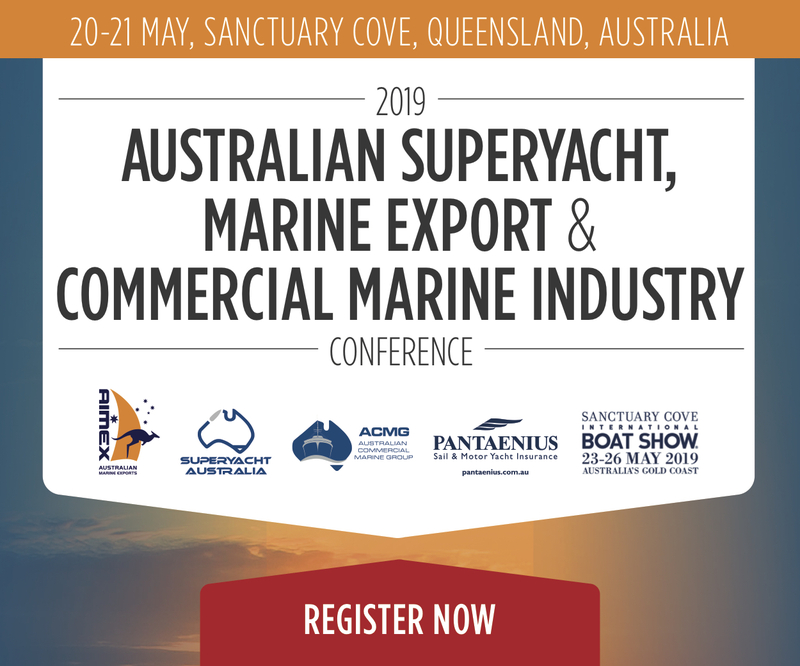 Friday 13 is the auspicious date of the official rebranding of Great Southern Marine Yacht Brokers to Alexander Marine Australia, and a superb showcase of Ocean Alexander superyachts to match the occasion. 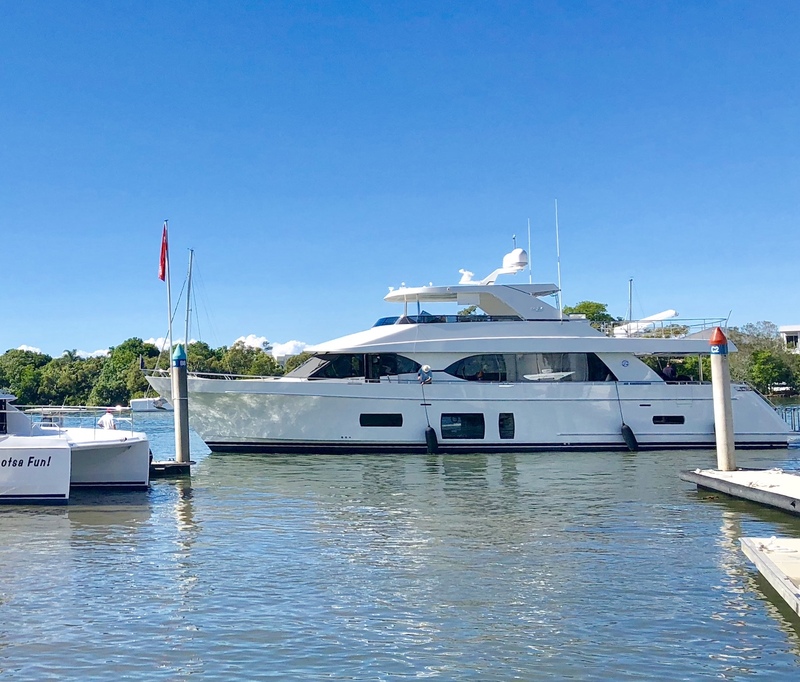 Located within The Boat Works, at the gateway to the Coomera marine precinct, Great Southern Marine has been representing the world-class Ocean Alexander range for close to five years. Coinciding with the 40th anniversary of the brand, Alexander Marine Australia led by dealer principal, Todd Holzapfel is proud to announce a new impetus with the brand in Australia and New Zealand, with the support of the full resources of the shipyard, and he and his team are delighted to have stock vessels to available for immediate delivery. 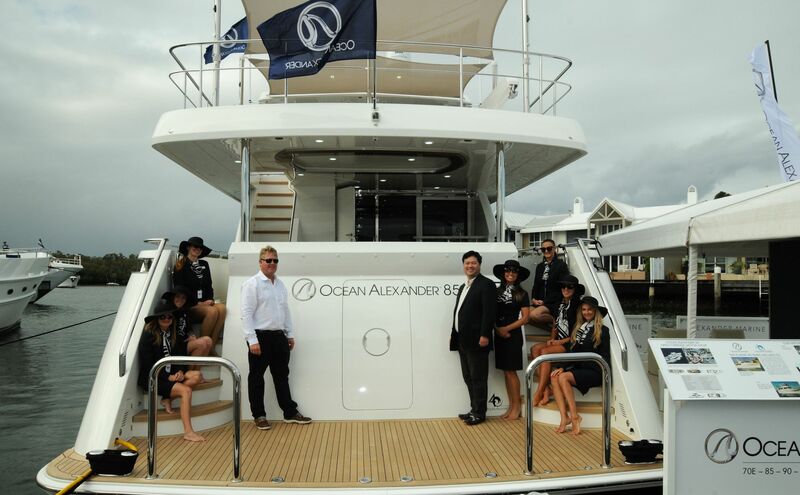 Todd’s existing brokerage business was recognised for its unrivalled customer service, preferred geographical location on the east coast of Australia and general high regard in the market place as the perfect platform in which to launch the factory resourced Alexander Marine Australia branding. Alexander Marine Australia will import and distribute various new boats brands and are excited to have already secured the Galeon Yachts range for our region to complement the larger Ocean Alexander models. Produced in Poland, the first Galeon stock boats are on order for arrival early 2019. Alexander Marine - Todd Holzapfel and Ocean Aexander President, Johnny Chueh. Galeon 460 Flybridge with side terrace. Ocean Alexander 85 at SCIBS 2018. “Hallmarks of the Ocean Alexander brand are advanced engineering, quality construction and attention to detail,” explains Todd. “Add to that state-of-the-art technology including advanced onboard electronic management systems and our trademark large glazed windows. This Friday 13, Alexander Marine Australia will showcase the Ocean Alexander 70e and Ocean Alexander 85 models, designed by esteemed superyacht designer Evan K. Marshall. “Both deliver contemporary, yet practical interiors and guests will marvel at our super-sized glazing including in the accommodation areas. “What you can’t see also matters – we use aluminium beams throughout the boat for superior strength and weight saving. We ventilate our bilges to keep this area of the boat fresh. Our fuel economy across the model range is class-leading. Our Galleys are some of the largest on the market, delivering a home away from home experience and allowing our owners to entertain in style. The Ocean Alexander 85 has the largest flybridge in its class, with the provision for a Jacuzzi. The Ocean Alexander 70e is Volvo IPS powered and incorporates a four cabin layout. 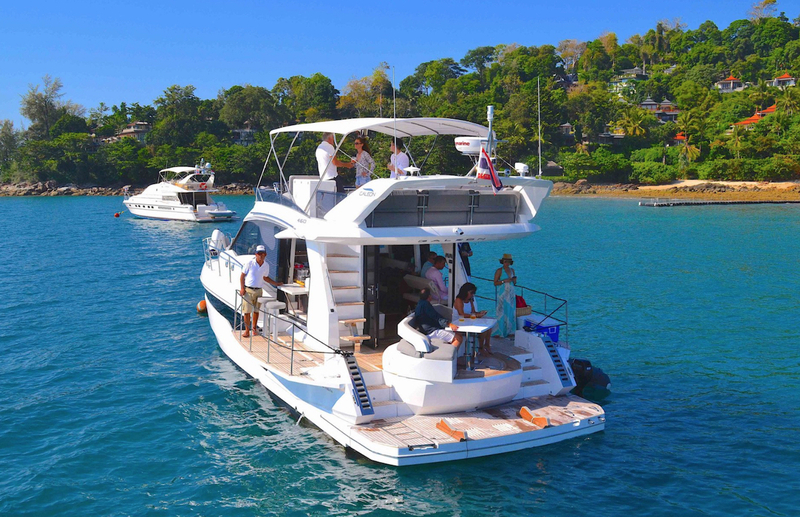 Like the 85 the 70e offers a spacious flybridge entertaining area and a versatile foredeck seating area. The 70e is a feature-packed model for just 70ft. “We are currently focusing our efforts on the 70 and 85 foot models which we have imported to showcase the brand to local buyers,” continues Todd.